Public places are full of bacteria and viruses. Whether you are planning a trip to the mall, grocery store or gym, you are guaranteed to encounter germs. However, two of the biggest culprits are airports and airplanes. A recent study looked at the dirtiest places, and the bottom line was that airports and airplanes are dirtier than your home and most public places. “The general consensus from this study: Airports and airplanes are dirtier than your home (NSF, 2011). Surprisingly, it is the one surface that our food rests on – the tray table – that was the dirtiest of all the locations and surfaces tested. Since this could provide bacteria direct transmission to your mouth, a clear takeaway from this is to eliminate any direct contact your food has with the tray table. It’s also advisable to bring hand sanitizer for any other dirty surface you may touch along your journey,” according to Travelmath. Planning to fly is time-consuming. You need to make sure you pack everything you need for your trip, prepare your travel documents, arrange for transportation to and from the airport and, based on the results of the study, it’s clear you should put some more thought into protecting yourself from germs. Pack your antiseptic wipes: These are a great item to have with you. Use them to wipe surfaces that may expose you to germs, especially the tray table on a plane. Limit what you touch: This is easier said than done, but try to limit what you come into contact with as you make your way through the airport and get on your flight. Things like a seat pocket, seat cushions and washroom surfaces should be avoided if possible. Wash your hands frequently: Washing your hands as much as possible will help limit the germs that could make their way to your mouth, nose or eyes. If you don’t have access to a sink, use hand sanitizer as an alternative. Boost your immune system before travelling: Before you fly, take an immune system booster, increase your vitamin intake and make sure you are hydrated. It’s also important to be caught up on your sleep. Try to be as healthy as possible before flying. 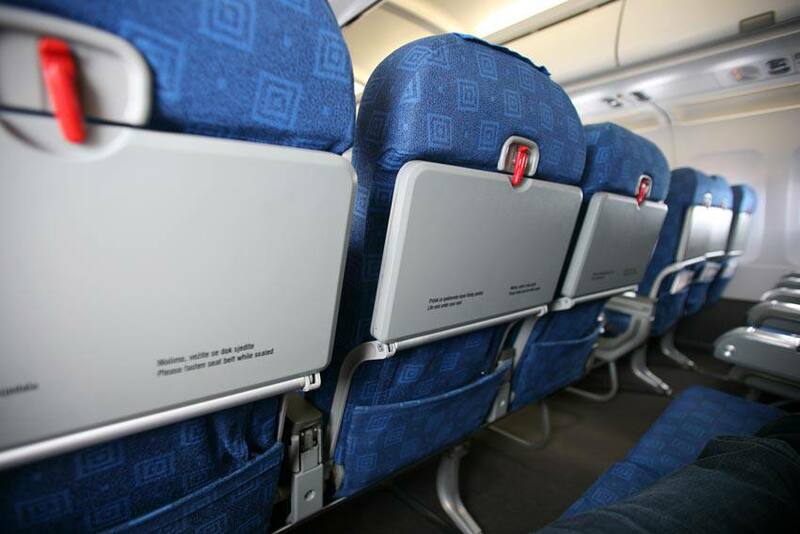 Open the air vents: Getting the air circulating in your area of a plane’s cabin is a good way to limit germs. The vents are filtered, and the blowing air can help to push germs out of your personal space.